We made the big announcement a while back, but we’re thrilled to share the news that moving day is upon us! In order to better serve our customers, we have designed and built 75,000 square foot distribution center which houses our administration, sales, warehouse, and shipping departments. 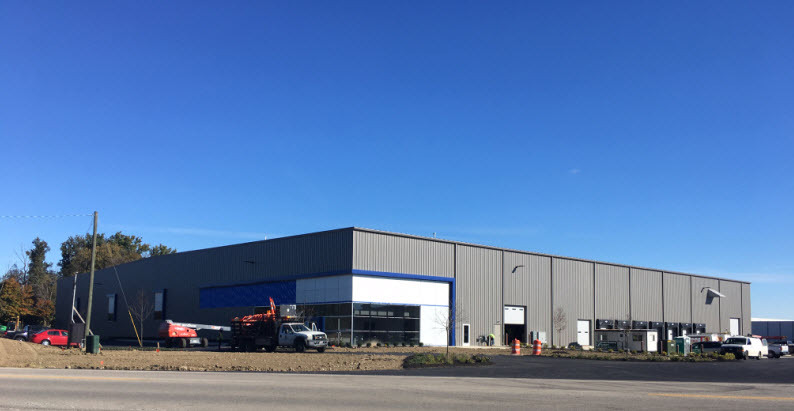 Loyal customers like you has fueled the continued growth of Midwest Retail Services, making a move to a new facility necessary. The new facility is close to 3X the space we currently occupy. We ask for your patience and understanding as we work to minimize disruptions in our business operations during this exciting transition, and the 4th quarter holidays may further complicate logistical operations. Please understand that our normal warehouse lead times will be stretched to accommodate our current preparation for the move, and during the move itself which begins November 26, 2018. While you may experience slightly longer lead times in general, our warehouse will temporarily suspend the shipping of specific product lines during the estimated time periods below. Please note that we are currently running ahead of schedule and all posted dates are subject to change. Our move to the new facility proceeds ahead of schedule! Aside from small orders of merchandising accessories, any orders consisting of larger gondola and shelving products shipped from our facility will be paused immediately and are scheduled to resume on Monday, December 3, 2018. Any items already scheduled to ship by November 30 2018 will be unaffected. Any items drop-shipped directly to you from a manufacturer will be unaffected. Our goal is to complete our move of the warehouse and offices by December 31, 2018. We apologize in advance for any short-term inconvenience, but we can promise more efficient service to you from our new and improved corporate headquarters and warehouse. We will do our best to provide any important updates as soon as they become more definite. This entry was posted in Ask The Team, Competitive Advantage, Customer Shopping Experience, Industry News, Top Shelf Experts and tagged ask the team, Customer Experience, customer loyalty, customer service, Display Fixtures and Shelving, Trends to Watch, What's new I Can Use by Midwest Retail Services. Bookmark the permalink.